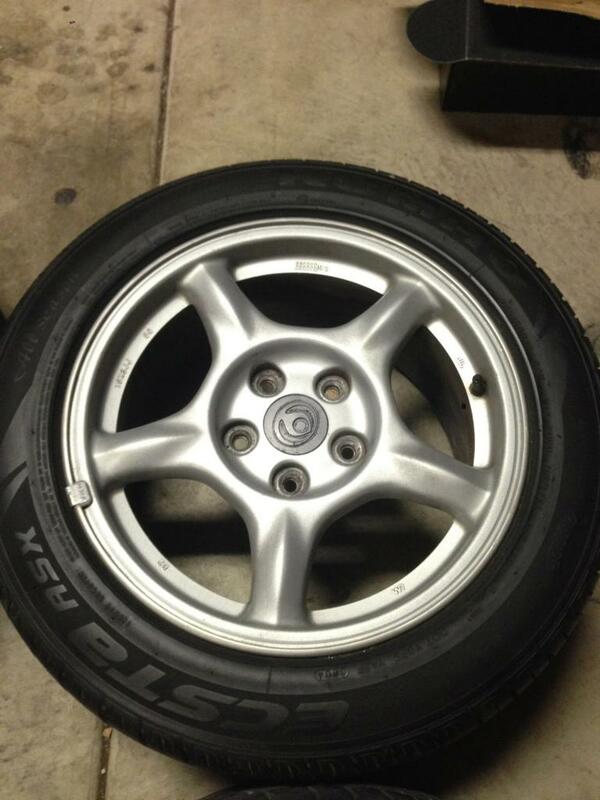 I have a set of OEM 16x8 wheels/tires from a 1993 Mazda RX-7 for sale. 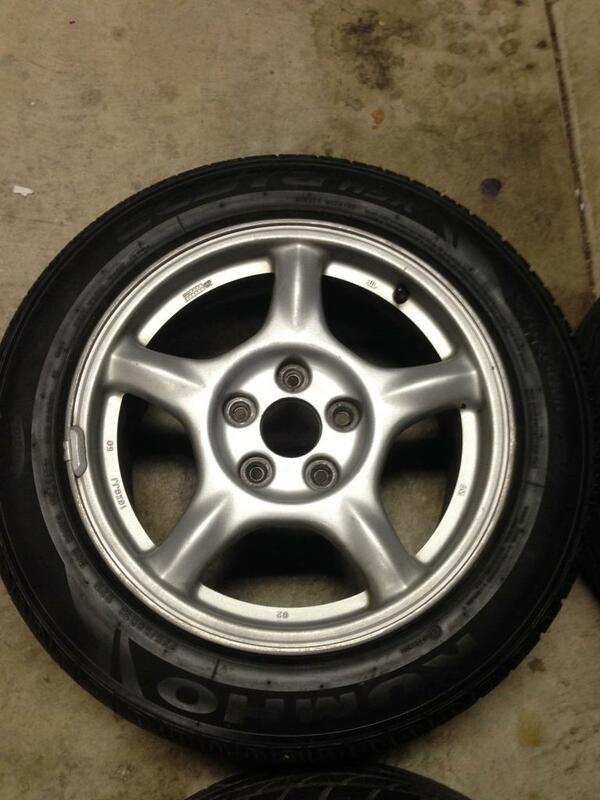 Wheels are in good condition with minimal curb rash. 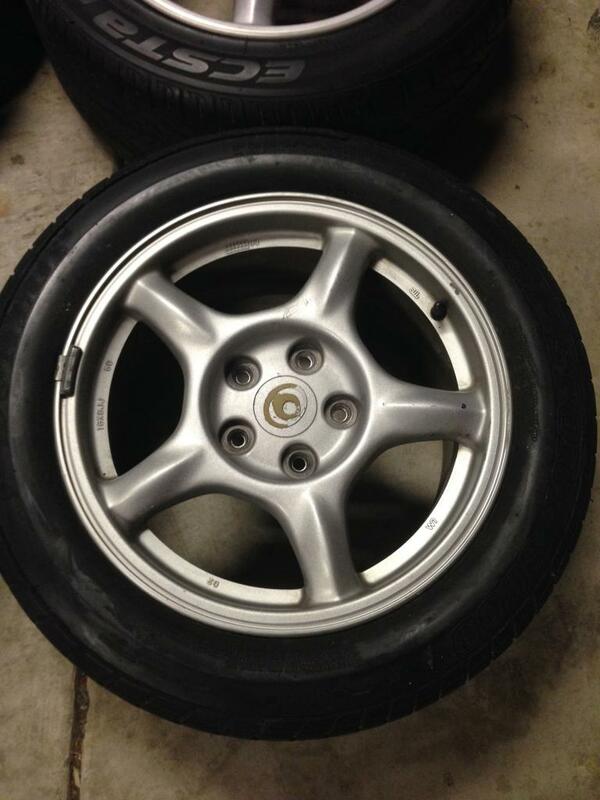 Two tires are Kuhmo Ecsta ASX, two tires are Dunlop SP 8000. 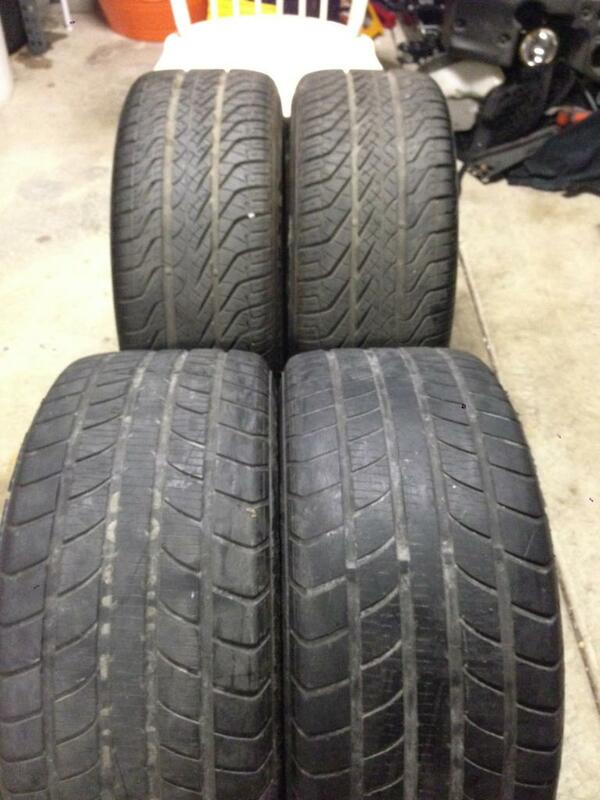 Tires are in decent condition and can be driven on no problem but will need to be replaced eventually. 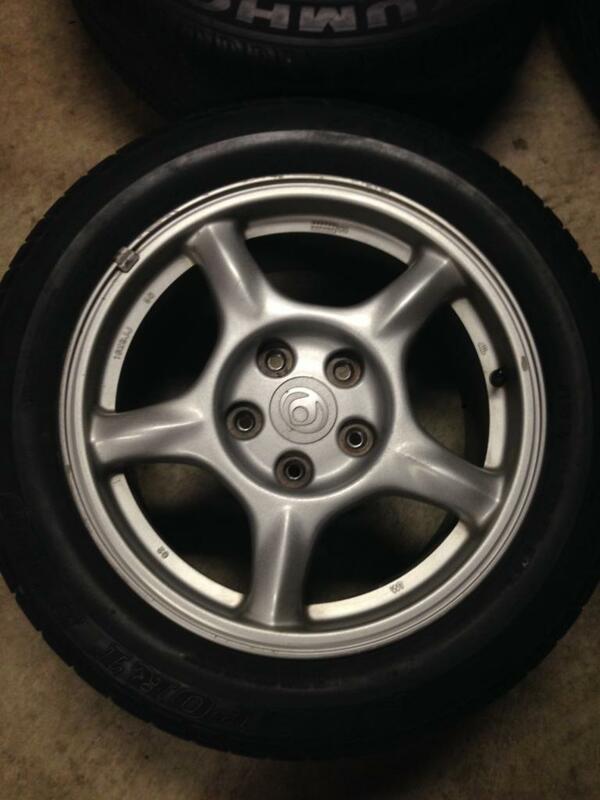 One wheel is missing a center cap. 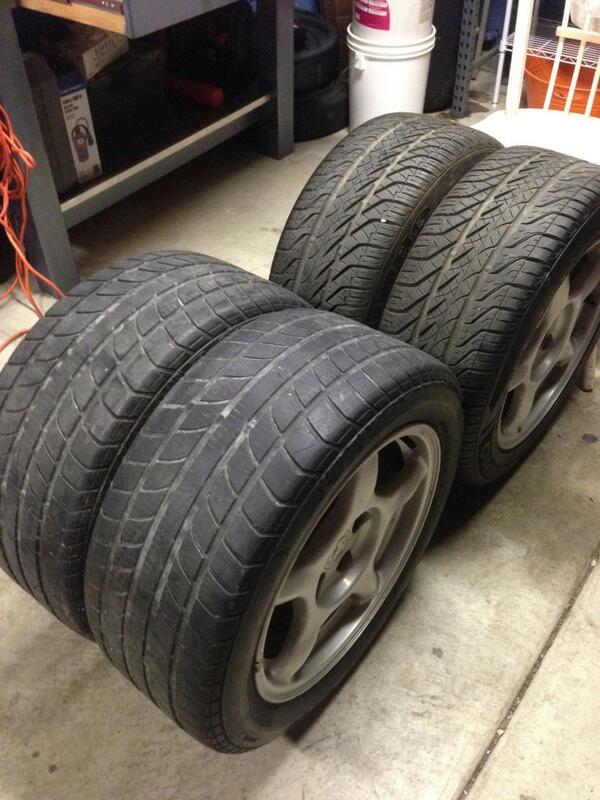 Good set of wheels/tires, perfect for daily driving the car or track use. PM or text if interested. 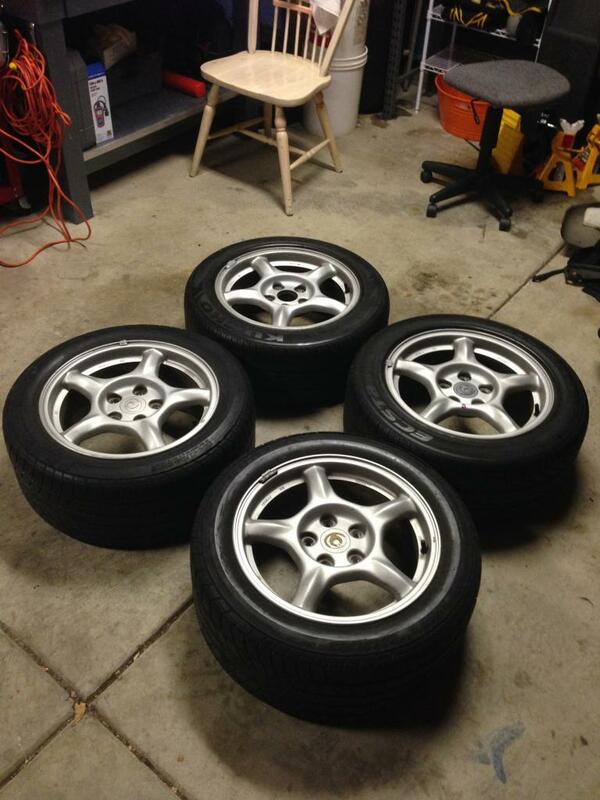 Located in Northern CA and would like to try and have a local sale vs. having to ship the wheels.